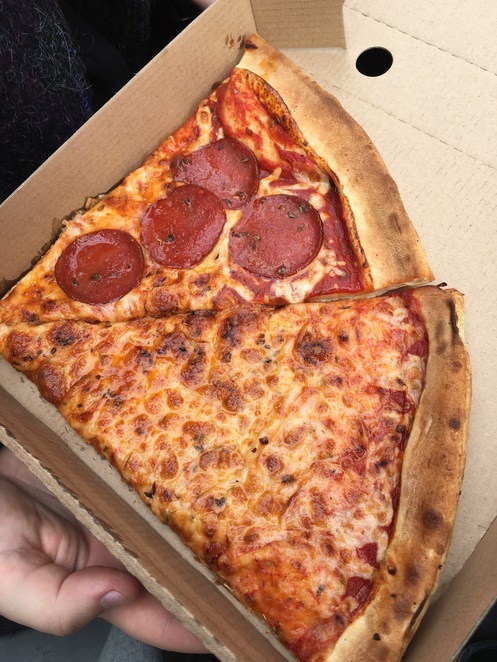 There's something strangely appealing about buying pizza by the slice. Maybe it's being able to have a slice of each of your favourite toppings, or maybe it just makes you feel less guilty about the calories. 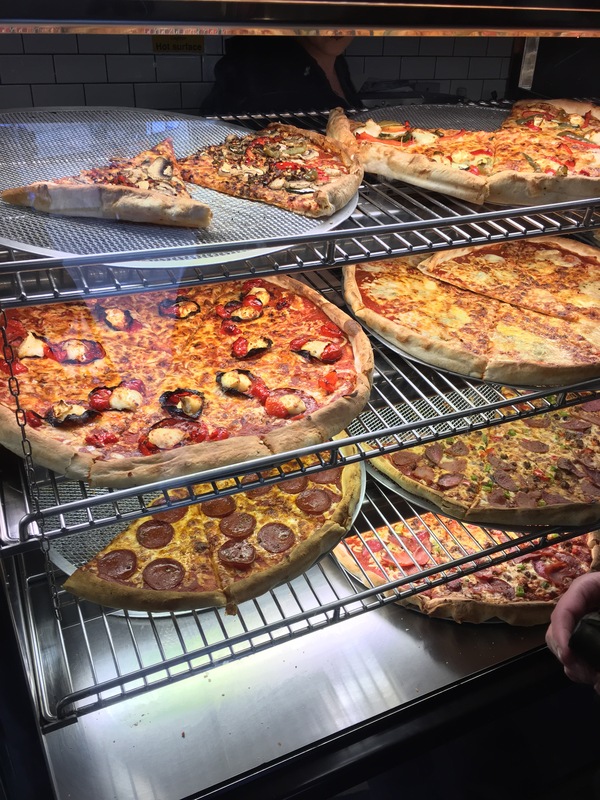 American Pizza Slice, situated on Whitechapel next to Liverpool's shopping hub, is nothing short of the best grab-and-go pizza in town. Before indulging in this slice of Italian deliciousness you must first negotiate a rather long queue in what is, quite possibly, the smallest eatery in Liverpool. Don't expect to sit down to enjoy your slice, it's a near fight to the death for the only two tables that the place can accommodate. Despite this, you'll be happy to eat your slice on a nearby bench as the pizza is fresh and delicious and will make you rethink your many orders to Dominos over the years. If you're looking for unusual toppings, this is the place to be. American Pizza Slice explores all sorts of can-you-put-that-on-a-pizza flavours such as mouthwatering brie and bacon as well as a calorific all day breakfast option. If you're 'that friend' that doesn't like pizza, simply indulge in delights such as garlic mushrooms or chicken piri piri. Be sure to grab a slice of the cheese-covered garlic bread for only £1.60, you won't regret it! Coeliacs celebrate! American Pizza Slice offer a gluten free option for the pizza cravers who are sick and tired of dodging the delights of gluten-heavy margaritas and Hawaiians. You can't really dispute the price. They offer 2 slices for £4 so bring a friend (or an appetite). Alternatively, have 18 inches of cheese and tomato glory from only £13.95. Not bad for a Saturday night in! Delivery is free, but don't wait until you're really hungry to order; the place is popular and wait times for delivery can get as high as 60 minutes. Order in advance so you're not disappointed!